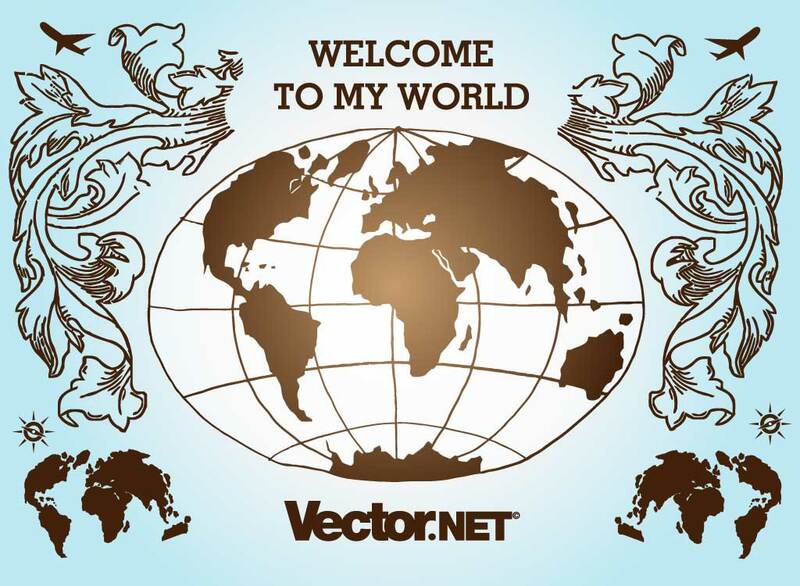 World vector icon in Illustrator AI and PDF format plus hi-res JPG. This cool globe background has a great brown and blue color scheme and ornamental design elements framing it. Perfect for travel, adventure, tourism or geographic designs. Tags: Cartography, Continents, Globe, Map, Retro, Stars, Tourism, Travel, Vintage, World.